As spring breaks continue toward Easter, here some things to do in Houston. High levels of tree pollen are in the air, but get in the car and enjoy the night lights, especially the lighted arches on the Southwest Freeway, Highway 59 as you drive toward or leave downtown. Thanks to Houston Mayor Sylvester Turner’s campaign fund, the multi-colored lighted arches are still on in the evenings. 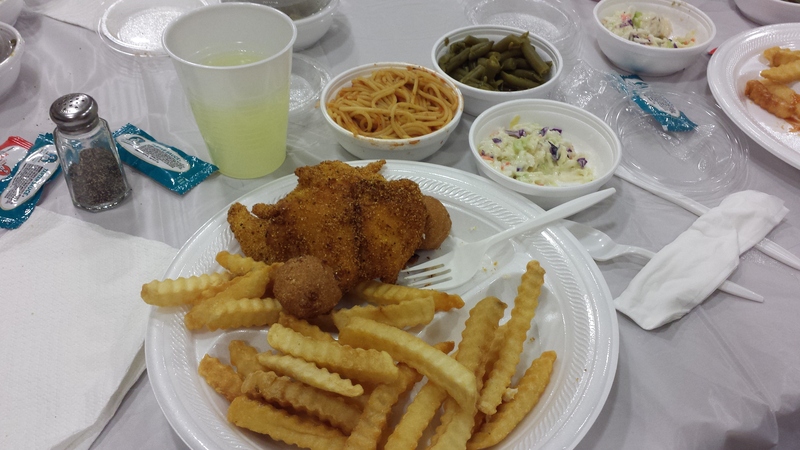 During March, the St. Francis de Sales Catholic Church, 8200 Roos Road in Sharsptown has been frying up a lot of fish. The March Friday night Fish Frys are from 5 p.m. – 7 p.m. and costs $10 a person. For the next Friday Night Fish Fry, call the church at 713-774-7475. In the mood for Chinese or Asian food? 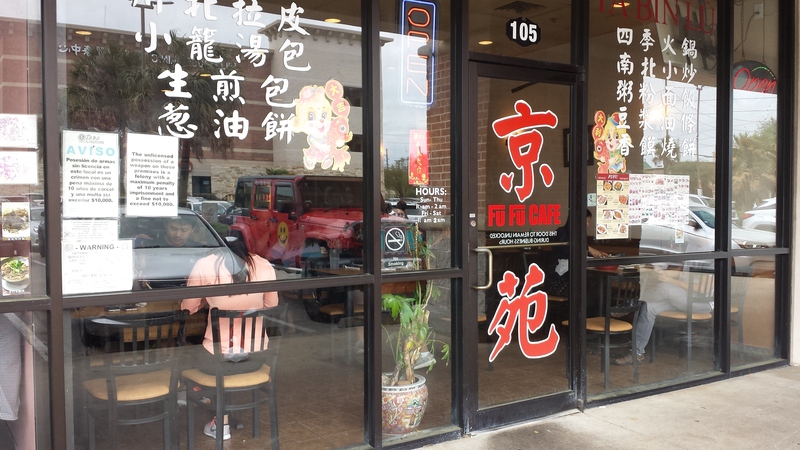 Head out to Houston’s Chinatown and Asia Town along Bellaire Boulevard or southwest Houston. The area between Bellaire Boulevard and Westheimer, west of 610, has plenty of Chinese, Vietnamese, Korean, Malaysian, Indian and Thai restaurants, gift shops, grocery stores and businesses. 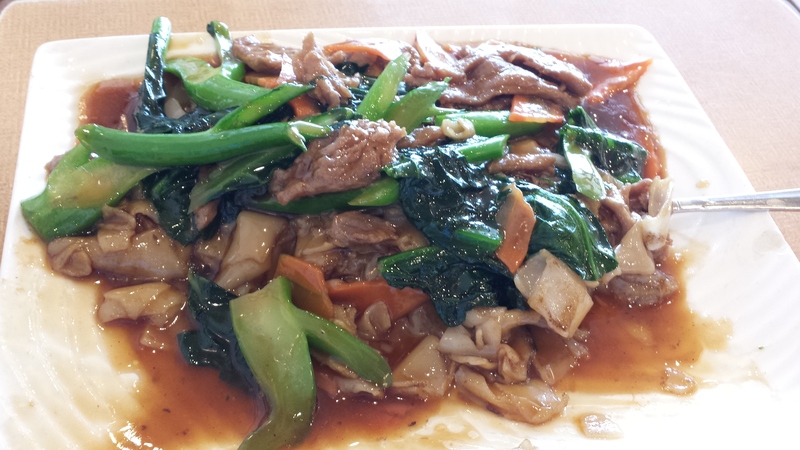 Above, stir-fried beef with vegetables and flat rice noodles dish ($9.99) at Fu Fu Café, 9889 Bellaire Boulevard, #105 in the Dun Huang Shopping Center near the Sam Houston Toll Road. Like many Asian restaurants on weekends, Fu Fu Café is packed with customers and has 12-13 tables. Fu Fu Café dishes have proportions large enough to serve 2 hungry people. Most places in Houston’s Chinatown or Asiatown accept credit cards, but only if you spend above a certain amount. This entry was posted in Asian Community Houston, Celebrating Easter, Church Celebrations, Community Events, Houston News, Houston Restaurants, Houston Texas Dining, Houston Tourism and tagged Spring Break Houston, Spring Break Houston 2018. Bookmark the permalink.